$14.99 In stock. Order in the next 7 hours, 32 minutes and it will go out today! Summon your inner Houdini and learn simple magic tricks that will wow your family and friends! How did he do that? Have you ever racked your brains trying to figure out how that birthday party magician pulled a dove out of his sleeve? Or spent sleepless nights wondering just how he made that coin disappear? Well, what if there was a book that shared magician's secrets with you and showed you how to do magic, too? Make a pencil float in mid-air! Bend a key using your mind! Make a pile of items disappear! 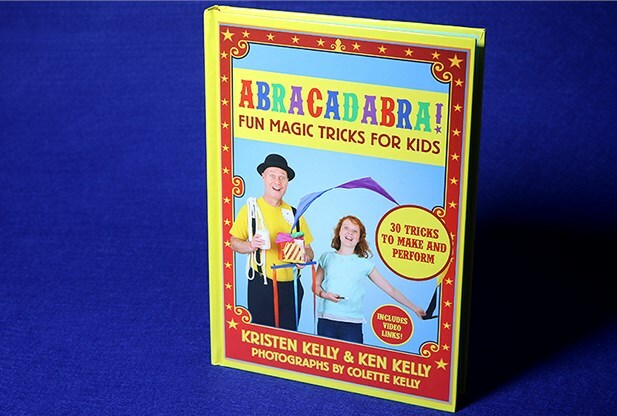 With Abracadabra!, you'll see that you don't have to be an adult to perform magic!